Apart from all the latest smartphone and tablet news we also like to keep readers informed about some of the components that go into these devices. The importance of the processor that powers these products cannot be overlooked and it is often regarded as the heart of any device. Mobile technology seems to be increasingly fast moving and two new chipsets, the NVIDIA Tegra 4 and Qualcomm Snapdragon 800 have been announced for 2013. We thought we’d take a look at the NVIIDA Tegra 4 vs. Qualcomm Snapdragon 800 in smartphones and tablets to see what they will offer when they become available later this year. It doesn’t seem long since we started singing the praises of dual-core processors and in a short time quad-core processors in top-end devices have become the norm. We’ll start with the NVIDIA Tegra 4, which has been billed as the “world’s fastest mobile processor” and will build on the incredible success of the Tegra 3 chip. Although that was also a quad-core chip the Tegra 4 is the first processor based on Cortex-A15 architecture as opposed to Cortex-A9, so will bring significant performance improvements and enhancements to graphics as well. NVIDIA uses GeForce GPU technology and has managed to somehow implement 72 graphics cores for the 2013 Tegra chip rather than the 12 that were in the former model. It all sounds good then and the Tegra 4 will be capable of taking HDR photos in approximately 0.2 seconds and handling 4K HD content. The next swathe of high-end smartphones will be refined by High Dynamic Range and devices using the Tegra 4 will be able to convey life HDR imaging as a feed to a phone display. As more people use their smartphones as their primary photographic device this will become increasingly significant. One criticism of Tegra chip phones in the past has concerned power efficiency but NVIDIA states that the Tegra 4 will show a 45% efficiency increase over the Tegra 3. It will also tout a second-generation Battery Saving Core that should be able to handle 14 hours of HD video. While the Qualcomm Snapdragon S4 seemed to take over in many phones for U.S. carriers last year, the new Tegra 4 chip now incorporates LTE, something that should give NVIDIA a good foothold in the market. NVIDIA has led the way onto the market with dual-core and quad-core and the Tegra 4 looks set to appear on plenty of upcoming devices and has already been confirmed for a Vizio tablet. Android Headlines reports that the Tegra 4 is likely to appear in more tablets rather than phones, with an increasing amount of tablets looking to achieve higher resolutions. Also the Tegra 4 seems specifically well equipped to handle media consumption and gaming, which will prove extremely attractive. 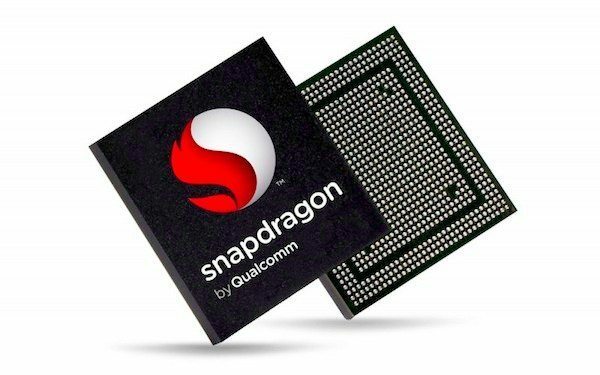 On to the Qualcomm Snapdragon 800 chipset and it seems that despite the phenomenal success of the Snapdragon S4, Qualcomm is ready to turn its attention to the 800 and also the Snapdragon 600, both intended to be high-end processors. Qualcomm claims the Snapdragon 800 will increase performance by an incredible 75% when compared with the S4 Pro, which sounds almost unbelievable given the very decent performance of the S4 Pro, currently being used in the Google Nexus 4 and the upcoming Sony Xperia Z. The Snapdragon 800 uses the Krait 400 CPU with clock-speeds of up to 2.3GHz, although those speeds are unlikely to be replicated on an actual device. The Snapdragon 800 will be able to match the Tegra 4 as far as handling 4K or Ultra HD content is concerned and can also record in 4K. As well as this the 800 will produce fast speeds thanks to better radios for LTE and Wi-Fi, while still conserving batter power. As far as graphics are concerned you’re looking at the Adreno 330. This is touted as having twice the power of the S4 Pro’s Adreno 320 GPU. There have been fewer details forthcoming about the Snapdragon 800 and this could be because it’s still some way off and maybe NVIDIA will launch its Tegra 4 first. It will certainly be interesting to see the first swathe of devices that release using either of these processors and whether in fact the Tegra 4 features more in tablets than in smartphones. Both Qualcomm and NVIDIA have big reputations to stand up to and will both be trying to outclass each other but which do you think will come out tops for the devices that end up using them? Let us know with your comments. How many frames per second (FPS) does the GPU in the Tegra 4 produce?